The Taxpayer Relief Act of 1997 became law on August 5, 1997. It was signed into action by President Clinton and was heralded by the politicians in Washington as landmark legislation. The taxpayer relief act made over 800 changes to the already extensive tax code and the changes impacted almost everyone. The law exempts from taxation profits on the sale of a personal residence of up to $500,000 for married couples filing jointly and $250,000 for singles. To qualify, sellers must have owned and used the home as their principal residence for at least two of the last five years before the sale. Effective for sales after May 6, 1997, this new provision replaced the prior rollover provision on home sales and the $125,000 exclusion of gain for those 55 and over. 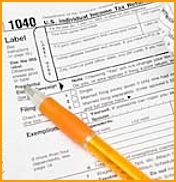 No change prohibiting taxpayers from deducting losses on home sales has however been made. The current $600,000 estate tax exemption will increase gradually to $1 million by the year 2006. Family farms and small businesses may qualify for an exemption of $1.3 million, effective in 1998.